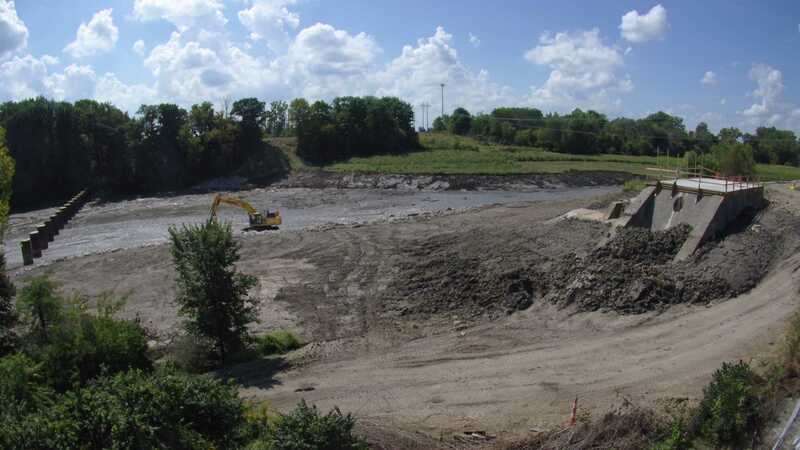 MWH Constructors started in July 2018 as the General Contractor on the removal of the Ballville Dam, which for the last 105 years, has occupied a stretch of the Sandusky River in rural Ohio, about an hour south of Toledo. Crews chipped away at the 400-foot-wide and 34-foot-tall dam using track hoes with mounted jackhammers. The structure was successfully demolished at the end of August 2018. MWHC is now in the second phase of the project, managing the restoration of the riverbank which includes permanent seeding and tree and wetland planting on 21 acres upstream and at the dam site. That work is scheduled to be completed by the end of December 2018. Read Fremont News Messenger article on the project. The restored riverfront will provide recreational activities as well as economic development opportunities which will benefit the city and surrounding communities.